Writer Joe Kelly (I KILL GIANTS, BAD DOG) and artist Max Fiumara will launch a new story arc in their genre-splicing series FOUR EYES from Man of Action this January. Previously in FOUR EYES, readers met Enrico, a young boy in an alternate 1930’s New York. The untimely passing of his father left him the man of the house, a duty he took quite seriously—seriously enough to step into his father’s shoes as a dragon hunter. But though he tried to be a killer, he ended up bringing home a baby dragon. In FOUR EYES: HEARTS OF FIRE #1, the training begins. 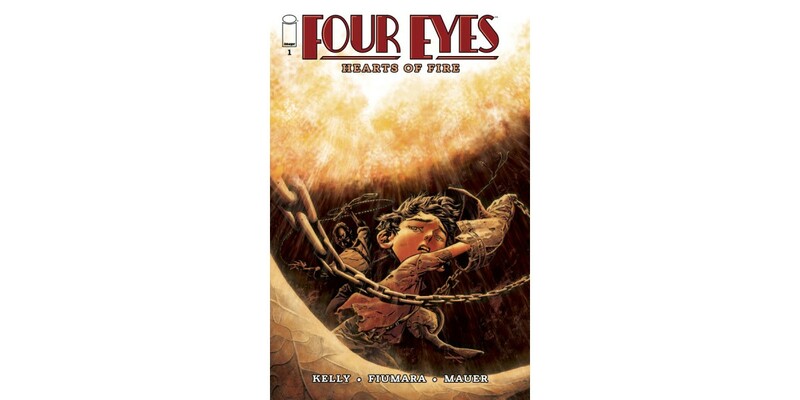 FOUR EYES: HEARTS OF FIRE #1 (Diamond code: NOV150484) hits stores Wednesday, January 6th. Final order cutoff deadline for retailers is today—Monday, December 14th.